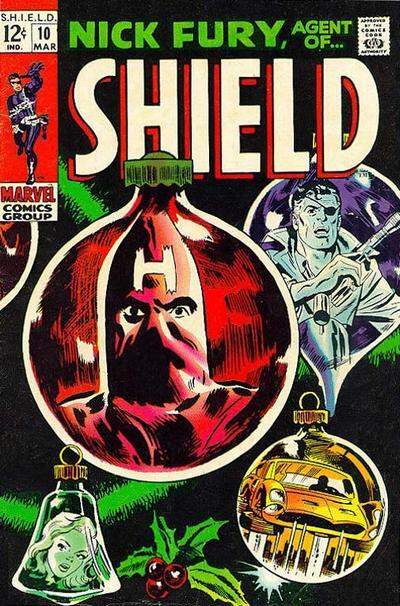 It's a special Christmas edition of Cool Comic Covers! First of all, who decorated that tree? Because I know Hallmark hasn't released an ornament with Hate Monger! Although I wouldn't mind having a flying car ornament. But like I said, whoever decorated that tree really needs a lesson in the true meaning of Christmas. I mean having a Hate Monger ornament that large and prominent on your tree? Anyway, it's a Christmas cover, and that automatically qualifies it for “Cool Comic Cover” status. Art by Frank Springer and John Romita.